How can I use a digital image file? With the high-resolution JPEG file, you are always able to use your image for ordering virtually any art print product, e.g. as a poster print, print on canvas, print on acrylic glass, etc., up to final sizes of DIN A1 in the best quality. You can find the corresponding online providers of art prints of your choice on the Internet. You can also print your digital portrait directly on your own printer or use it in a reduced size directly on the Internet, e.g. as a profile picture of your social media account. What do I have to consider with the photo template? From a purely technical point of view: the photo should have a high resolution, it should be sharp and not be under- or overexposed. Photo templates that are shaky, pixelated or blurred cannot be used. Apart from these formal requirements, the more expressive the photo, the better the result. The work of art adheres to the facial expressions on the photo template. Therefore, select the template carefully. What does the perfect photo template look like? The ideal photo template shows head with shoulder attachment filling the format. Full body images are not suitable because the face is then too small. Good exposure and an expressive view are important. A three-quarter view is ideal, i.e. neither profile nor frontal view. Any view is possible, but the exact view of the photo template is always implemented. The same applies to the facial expression. A slight smile without the teeth becoming visible is ideal, i.e. neither too cheerful nor too serious. However, any printout is feasible, but here, too, the facial expression of the photo template is always implemented. Why is my photo template unsuitable? If, in our opinion, the photo template sent to us is not suitable, we will inform you by e-mail and ask you to send us new photo templates. We cannot use the photo template if it is of poor quality, i.e. if the photo is blurred, too small, too diffuse or unfavourable. Do you also check photo templates before placing an order? You are welcome to contact us at any time if you have any questions. Of course we will check your photo template if you wish; if you are not sure which is the best template send us several suggestions. In addition to the standard offer in the shop, we are also happy to create custom-made products. Do I get a unique specimen? Yes. The Alu-Dibond art prints are unique. They are not printed a second time. If you order a digital JPEG portrait, you will receive all rights to this image. It will neither be passed on to third parties nor published in any other way. I do not have an e-mail address. Can I still order? An order in the shop is only possible with an e-mail address. If you would still like to order a portrait picture, please use the contact form for a corresponding request. Can I be sure I’ll like the portrait? Before the image is printed or sent to you by e-mail in its original resolution, you will receive a low-resolution JPEG preview. The ordering process will not be completed until you have approved it by e-mail. The purchase price includes a correction process. Important: the preview image remains the property of Nil Orange and may not be used in any way. What does the order process look like overall? You order your desired portrait in the shop. Then send us the photo template(s). As soon as we have received your payment, we will check your photo template(s). If these are suitable, the artistic process begins. If the template is not suitable, we will contact you by e-mail and ask you to send us better templates. In the event that you are unable to provide suitable sample material, the order will be cancelled and the purchase price will be refunded to you. As soon as the artist portrait based on suitable images is finished, it is sent to you for approval as a low-resolution preview image. If you are satisfied, the picture will be delivered. If you still have change requests these are considered. After the correction, we will send you another preview for approval. If you should have still further change desires, then we must invoice these separately. In this case we would provide you with an estimate before making any further changes. After your approval the picture will be produced and sent to you.  Important: the preview image remains the property of Nil Orange and may not be used in any way. My picture has not yet arrived despite the end of the delivery time? We process your order quickly. The stated delivery time is valid from receipt of suitable photo templates. However, since the portraits can only be sent after approval by the customer, the stated delivery times are approximate and cannot be guaranteed. If release is delayed, delivery is also delayed.